I was born in Echirolles (FR), and live now in Méaudre, Vercors Plateau. I'm a mountain guide and National Technical advisor for the FFME. As a mountain guide, I work both independantly and for the Tignes-Val d'Isère Guide office. For the FFME, I mainly take care of the indoor climbing department, supervise the "le Roc Aventure Programme" (initiative to promote big wall and trad climbing amonst sport climbing competitors), and take care of crags bolting. A perfect playground for exploring, playing and sharing. This is a way too intimate question to answer completely... I would say rock climbing and eating sweets at the belays. Difficult to say, as there are so many ! They're often linked to expéditions, for the extended moments we live then. A direct consequence of the above incident: I always pack my pack one last time before going climbing. And always take with my an Abalakov hook ! 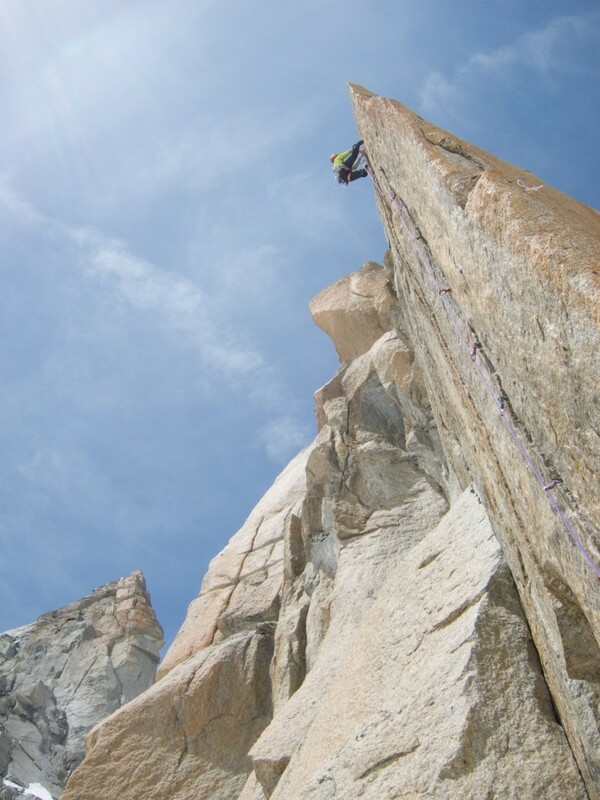 The Dawn Wall in a day ! A favorite hut: the Glacier Carré, facing the Meije South Face: very good bivy for two!